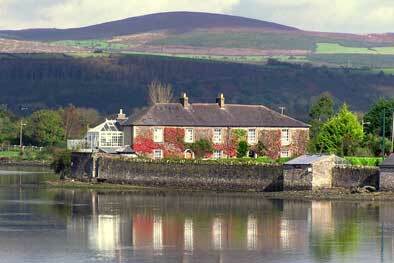 Cairbre House - Bed And Breakfast Accommodation, Dungarvan, Co. Waterford. Enjoy a warm welcome and relaxing stay in this 4 star multiple award winning beautiful listed Georgian B&B. Cairbre House dates back to 1819, built by the Duke of Devonshire, situated on the banks of the Colligan River within stunning private grounds overlooked by the Comeragh mountains. Leave your car in the house grounds car park and take the less than 10 mins walk to Dungarvan town centre, this is the perfect place to stay!